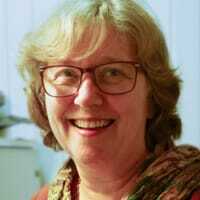 Frances is a Certified Academic Coach/Counselor at FreeChoice in the Netherlands. She was born into the Jehovah’s Witness organization and left in 2004 with her husband and their two children. Frances has helped many former members to reclaim their lives. Frances has written magazine articles about the influence of cult behavior on identity development and the dark side of religion. Since 2012 she has co-hosted a support group for former members of cults, abusive groups and relationships – OwnFreeChoice Praatcafe.